Hoopla is your source for free comics you can stream as well as movies, music, and more! Available to use on any computer, tablet, or smartphone. Available titles include The Walking Dead, Batman: Arkham Knight, Saga, Lumberjanes, and many more! Visit our Hoopla Information Page for more information. Looking for instantly available comics and manga you can read from anywhere? 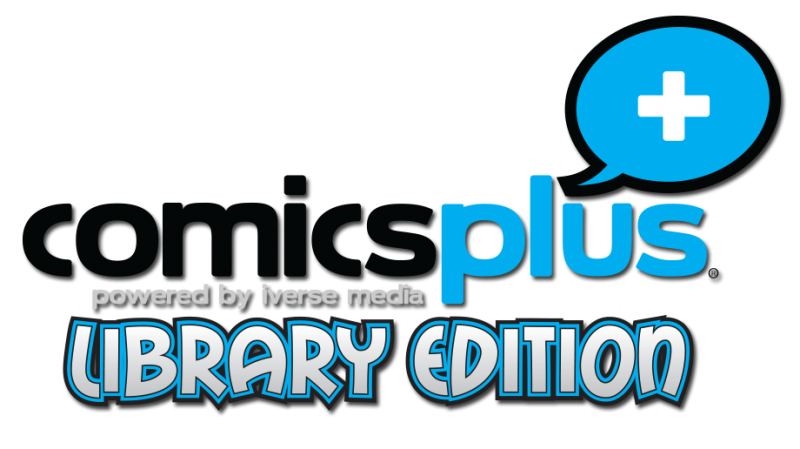 Then Comics Plus is for you! This revolutionary digital collection includes every genre you could wish for: fiction, non-fiction, fantasy, thrillers, romance, indie comics, Sunday funnies, and manga! Click on the logo above to browse the collection! Visit our Comics Plus Information Page for more information.